Are you enjoying your Erasmus semester so far? Do you want other students to have a similar experience while studying in your country? 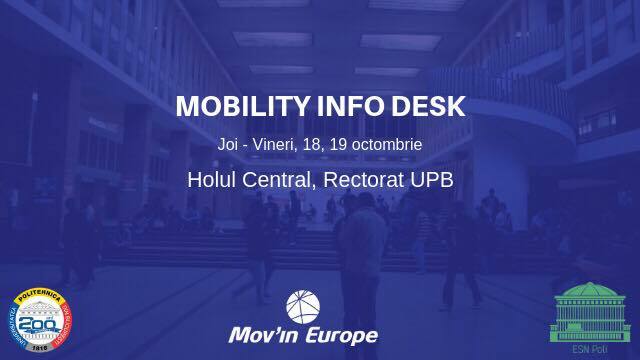 Lend us a hand and visit our info desk on the 18th and 19th of October, between 10:00 and 14:00 in the Rectorat hallway in order to promote the ERASMUS+ program as well as other mobilities to our local students.